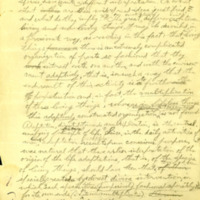 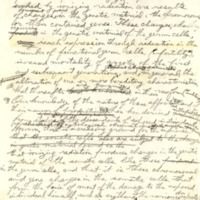 Handwritten manuscript of "Evolution in the light of the modern mutation theory" by Hermann J. Muller. 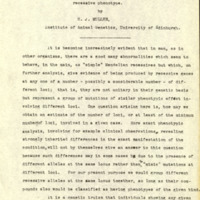 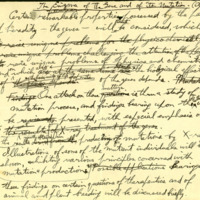 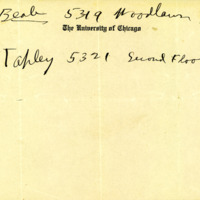 Handwritten abstract of "The engima of the gene and of its mutation" by Hermann J. Muller, c.1927. 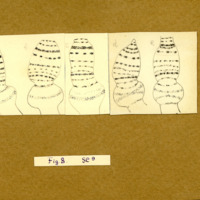 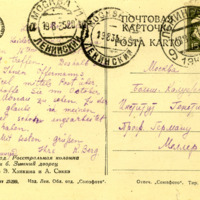 Drawings of chromosomes and notes on the "Arrangement of loci in normal X-chromosome"
Russian postcard from Raisa Berg to Herman J. Muller, 1935. 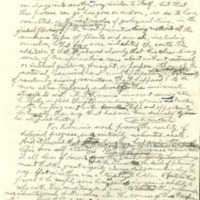 Handwritten sketch and manuscript by Hermann J. Muller for an International Humanist meeting. 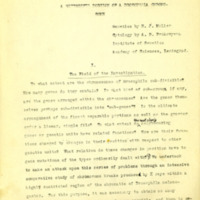 "Darwin's achievement," 1958. 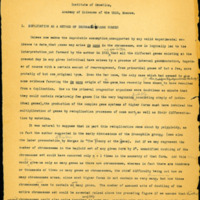 Handwritten manuscrit of "Radiation in medicine" by Hermann J. Muller.